In PPG Industries, Inc. v. United States of America, et al., the District Court in New Jersey recently found in favor of the government in a CERCLA contribution action. PPG Industries, Inc. (plaintiff) sued the United States, the Department of Defense, and the Department of Commerce (defendants) for (1) cost recovery and contribution under CERCLA and for remediation assistance under the Resource Conservation and Recovery Act (RCRA). The plaintiff owned property in Jersey City, New Jersey and operated a chromite ore processing plant from 1954 to 1962. The plaintiff purchased the property from Natural Products Refining Company (NPR) in 1954 and sold the property and equipment in 1964. NPR operated the site beginning in 1910 and its operations included converting chrome ore to chromium chemicals. NPR’s processing created a hazardous sludge byproduct, which was partially stockpiled and partially recycled. In 1982, The plaintiff became aware that the site was a potential danger to public health, safety, and welfare, due to onsite pollution. Following testing, the plaintiff undertook investigatory, removal, and response actions at the site and adjacent properties incurring approximately $361 million is remediation costs from 1982 to 2015. The plaintiff sought remediation assistance for activity that occurred during World War I and World War II alleging the government exercised substantial control over the site during the wars and that the government directed the management of the onsite waste. During World War I, the National Defense Act of 1916 authorized government seizure of chromium chemical plants that did not comply with the government’s “voluntary” pricing scheme. The government again was able to control pricing on chrome ore during World War II. It purchased all available ore and became the sole supplier. The materials manufactured on the property during the wars were critical and essential war materials. The plaintiff alleged that NPR lost all control of the its plant to the government and that the government controlled the price of raw materials and finished products, and oversaw labor disputes and day-to-day operations. Because of the government’s involvement with the site during the two World Wars the plaintiff alleged the government should be liable for cleanup costs. Despite the plaintiff’s arguments, the District Court granted summary judgment to the government defendants. The court found there was not enough evidence to prove the government was liable as an operator under CERCLA. The court found the government controlled the supply and price of NPR’s raw material as well as the price of its finished product. It also participated in one of NPR’s labor disputes, visited the facility, and had the power to seize the facility due to labor unrest. Notably, the government never directly managed or controlled NPR’s operations regarding pollution. It didn’t seize the plant or station an employee in charge of waste-producing operations. In sum, the court found that the government’s actions were consistent with general wartime influence over industry, not control over NPR’s pollution-specific activities. Similarly, the court found no arranger liability for the government under CERCLA. The government was not an arranger because it never took ownership or control over the sludge. The government also did not control the process that resulted in the release of hazardous waste at NPR’s facility. The government was also found not liable under RCRA because it never actively managed or disposed of hazardous waste at the site. The court noted that the government could be found liable for such cleanup based on wartime regulation of the economy, however, the amount of control displayed in this instance was insufficient. CERCLA contains a provision that waives sovereign immunity allowing the government to be sued for the release of hazardous materials. 42 U.S.C. § 9620(a)(1). Additionally, section 9620(a)(4) allows suits against the government pursuant to state statutes. Regardless of the ability to sue the federal government under CERCLA, it’s routinely difficult to obtain a finding of liability. In previous lawsuits, courts adopted the “actual control” standard meaning the government must exercise substantial control over the facility where the hazardous substance was disposed of, as demonstrated through “active involvement in the activities” related to the disposal. Lansford-Coaldale Joint Water Auth. v. Tonolli Corp. 4 F.3d 1209, 1221-22 (3d Cir. 1993). The “actual control” test has been challenged and the Supreme Court narrowed the standard for operator liability such that the government “must manage, direct, or conduct operations specifically related to pollution.” United States v. Bestfoods, 524 U.S. 51 (1998). 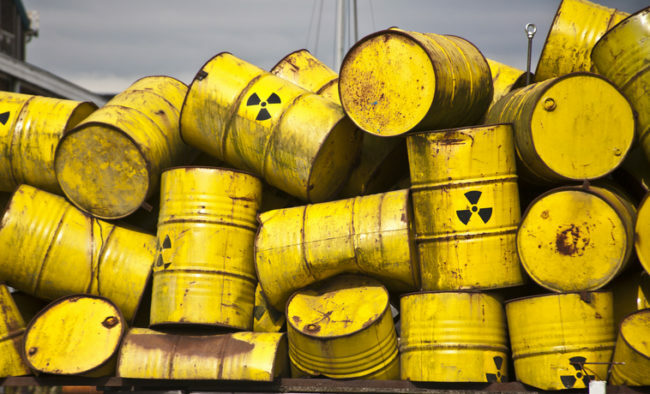 Arranger liability under CERCLA requires the government to take intentional steps to dispose of a hazardous substance. Burlington N. & Santa Fe Ry. Co. v. U.S., 556 U.S. 599 (2009). This new decision (albeit only a District Ct ruling) serves as another reminder of the high hurdles a plaintiff faces when seeking to impose cleanup costs onto the government. If there is anything less than direct control over the disposal or pollution-specific activities the government will likely escape CERCLA and RCRA liability. The take away? It’s essentially up to the owner and operator to ensure that environmental regulations are being met. We’ll be following any appellate activity that may follow.